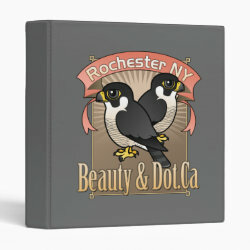 Beauty and Dot.Ca are a pair of Peregrine Falcons that are the stars of the Genesee Valley Audubon Society's Rochester Falconcam. 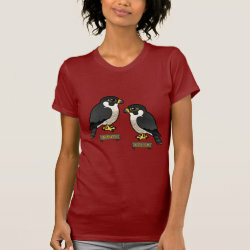 The Falconcam, which can be seen at rfalconcam.com, operates in the spring during Peregrine Falcon courtship and nesting season. 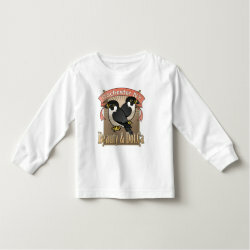 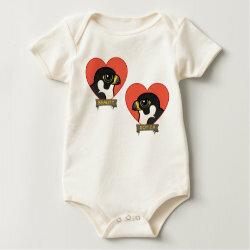 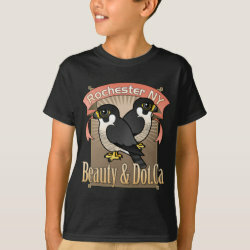 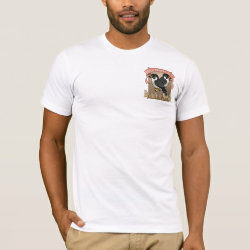 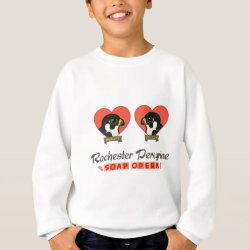 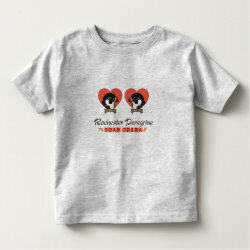 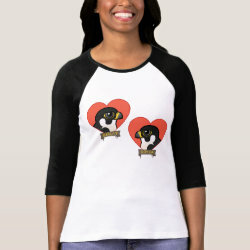 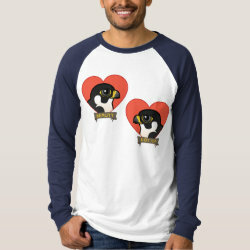 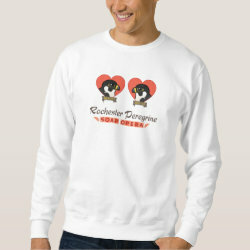 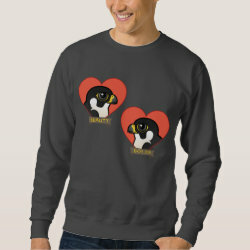 These designs all feature Rochester Peregrine Falcons in totally cute Birdorable style! 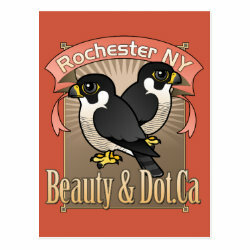 Beauty and Dot.Ca in cute Birdorable glory. 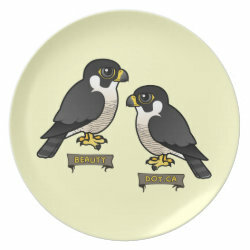 It took a while, but it's finally Peregrine love for Beauty and Dot.Ca in 2012. 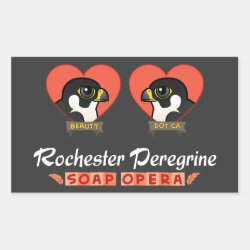 A fun plaque-style design featuring Rochester's 2012 Peregrine (eventual) pair. 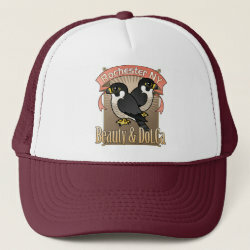 2012's soap opera stars: Beauty and Dot.Ca.